Sussex band Royal Blood have postponed the sale of tickets to their tour due to the ‘tragic events in Manchester’. 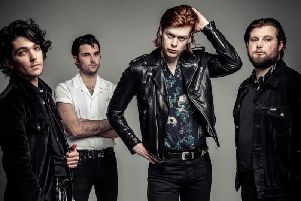 In a statement released today the Sussex-based band said: “Due to the tragic events in Manchester, we have postponed the on sale date for our European and UK tour dates. “We will advise on the new date for presale and general on sale in due course. The tickets were due to go on sale tomorrow (Friday, May 26). The band, made up of Mike Kerr from Worthing, and Ben Thatcher from Rustington, are scheduled to perform at the Brighton Centre on Wednesday, November 29.